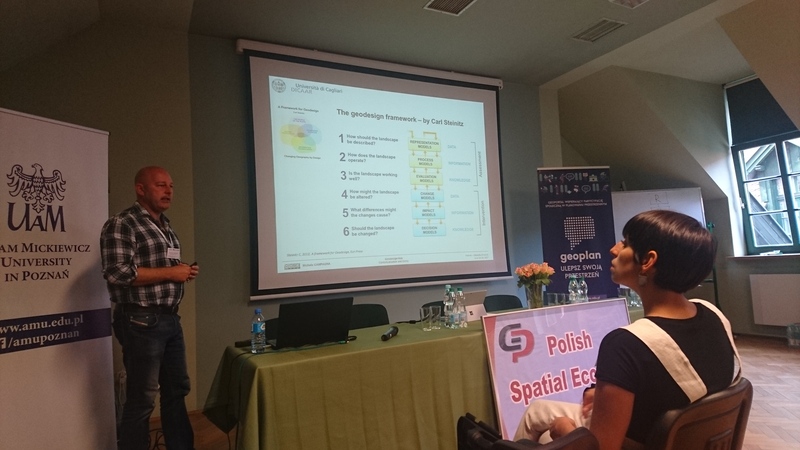 Piotr Jankowski opened the meeting explaining the background of the symposium explaining a local project at the Adam Mickiewicz University on participatory GIS and geodesign in Poznan. The workshop is mostly by invitation and was set to allow for detailed discussions. The purpose is to have a discussion on the themes of participatory GIS, citizen science, VGI, Geodesign and urban planning. Marketta Kyttä (Aalto University, Aalto, Finland) – gave the keynote address to start the workshop. 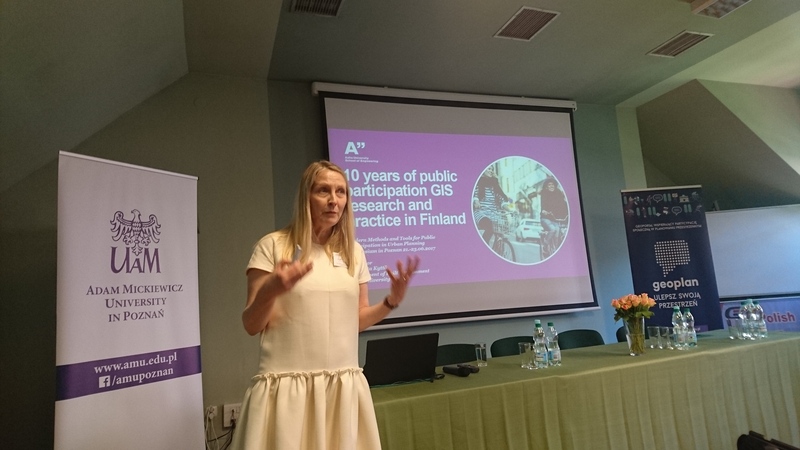 Marketta talked about 10 years of public participation GIS research and practice in Finland, reflecting on the experience since 2000. From a background in environment psychology, with a PhD in architecture, had an interest in the human side. There are claims that tacit and experiential knowledge cannot be integrated into design and practice. In the 1990s, she felt that environmental psychology is focusing on the person and how they feel, but forgotten about the environment. She believes that the interaction between the environment and the person is generating experiences, and there were few approaches to thinking about it – there are precedents from Wohlwill in 1973, pointing the environment is not in the head and others. Her work got into place-based, “softGIS” – as psychologist heard about it and wanted to study about human behaviour and experience over the physical environment. Thinking about how to link perceptions and emotions and the different ways of understanding space with a physical location. The new methodology was started in 2003 and the first prototype was developed in 2005, but the technology was weak. They then progressed to SoftGIS survey tools which are more robust technically, but each survey requires a lot of investment. This is now evolved to maptionnaire service that allows using these in a more structured way since 2015. They have done projects in Japan, or in USA, or in Aalto University campus, and many other places. Through the literature, she discovered relevant areas which she was not aware of at the beginning – PGIS, PPGIS, Citizen Science, VGI. The work that they’ve been doing is the nearest to Greg Brown – conceptually and structurally there are many similarities in the methodology. She sees the person-environmental relationship and participatory planning are in yin-yang relationship – they contribute to each other. They have looked at social sustainability, mobility, environmental memories and more. Across different groups – from children to elderly. Also at different scales, various planning stages, and various planning approaches. They have done over 70 research project that used place-based research ad over 150 participatory planning projects. Cases that were analysed between 2013-2017 show majority of participatory cases in planning – over 46% and 27% in research. The personal relationship to participatory planning – on how the effort of participatory planning is for few people to show up and lots of time have negative views. There are some people who are activists – but not all of us this way. There need to be an additional way of engaging people for people who are less assertive. The Finnish law mandated participatory planning since 2000, but things haven’t changed over the night and a slow process: only a handful of people participate, participation tool late, non-influential participation, concentration on resisting changes, data that have been collected is invisible, and the process is demanding process for the organisers and the participants. 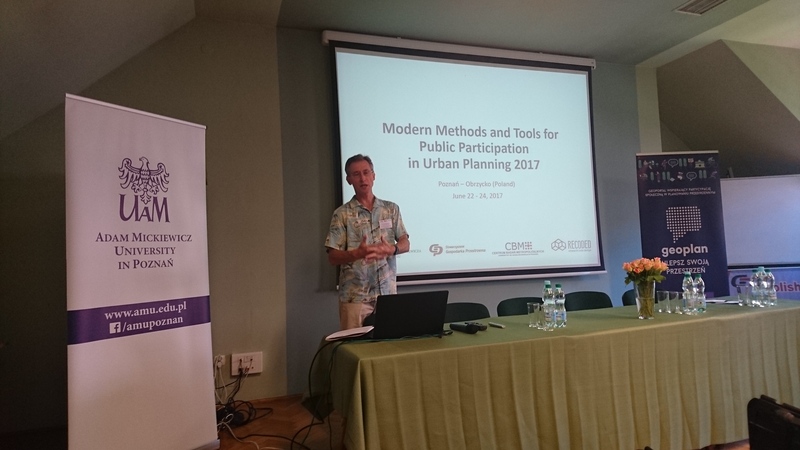 The experience of using PPGIS as a crowdsourcing tool in urban planning – a questionnaire tool. The pros are data volume, high quality and usable knowledge, foster collaborative participation. 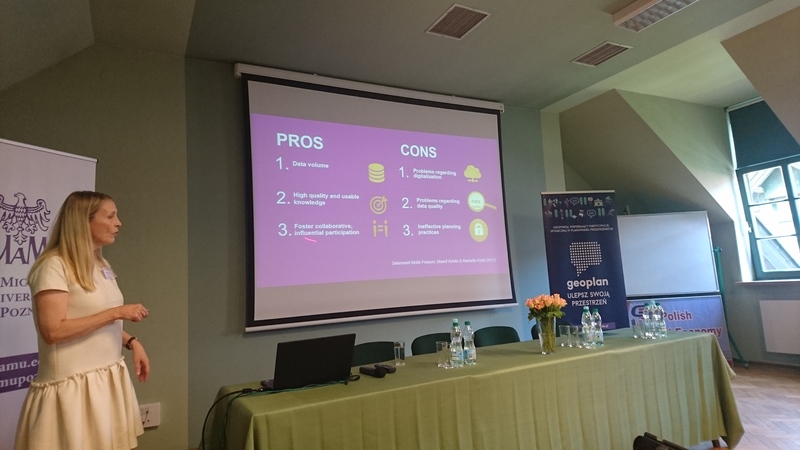 The cons are issues of digitalisation, limitations in the digital process, data quality, and practices in planning regarding the use of the information. Data volume online allows collecting large datasets with little effort, and facilitating inclusiveness – wider groups of people that can be reached (2100 respondent about water in Helsinki), the representativeness look good across classes – the impact of level of education, but generally it can be argued that it is a representative group. There is also an ability to provide the same tool in different languages and reach different groups, and children and young people with appropriate tools. Children can give good quality data. It is also an easier way to reach a wider group of participants – getting 3750 people responding to get Helsinki Master Plan survey, with 33,000 place marking. The second point that the data is high quality and usable knowledge – the methodology fosters individual participation – Kahila-Tani (2016) pointed about individual participation and collective participation issues – an ability to maintain the diversity of opinion, also independence, decentralisation, but it also requires aggregation. The maps allow a new type of knowledge in a visible format – such as the location of new building and green areas. Also allowing to do different analysis of green structures, and finding out about people home and which places they notice and use buffering to calculate densities around it. Using urban structure, behavioural and experiential factors, and then linked it to health and wellbeing. In the city centre, they found one set of a link: density increases the perceived environmental quality if it brings the everyday services closer. In the suburbs, the closer the services were, the lower the perceived environmental quality – why is this happening in the suburbs is a question. PPGIS allows for exploring different context. Can we foster deep collaboration? The Maptionnaire tool allows the creation of a geographical survey with the survey. Asking many questions to participants. Reaching out to participants can be done by a representative sample and trying to reach them, sometimes offline, or more opportunistic approaches of using publicity online, or through a specific event. In a public-participation support system (Kahila-Tani 2016) considered the different stages that have participation potential, and the initiation phase is important. This was indeed in many cases the way Maptionnaire is being used. Is the participation influential in terms of impacting on the decision process. In the Helsinki master plan it was possible to see the impact of suggestion as the plan was published on a grid, and it was possible to compare it to the public survey and it shows that about 25% of the areas that people want to protect are threatened by the plan. PPGIS can be also integrated into existing systems, which is demonstrated in the City of Lahti. The issues in PPGIS include first, use of digitisation: digital divide, technology stress that exists among older participants – examining people over 80s, addressing the problems in the redesign of the application. Second, it is important to see the PPGIS in addition to deliberative processes that are linked to PPGIS data – people pointed that the PPGIS data is wrong as it didn’t represent their opinion. Third, there are issues of data quality: representatives, cherry picking, user privacy, manipulation, and skills to use the data. The Helsinki data is over-represented in 20-40 year old. Because the issue is about the opportunity to participate and not only about representativeness. It is possible to compare the representative sample with the wider response. All sort of arguments: other age groups are represented in other processes, or that they will be impacted by the programme, etc. There are pros and cons – where is the balance. 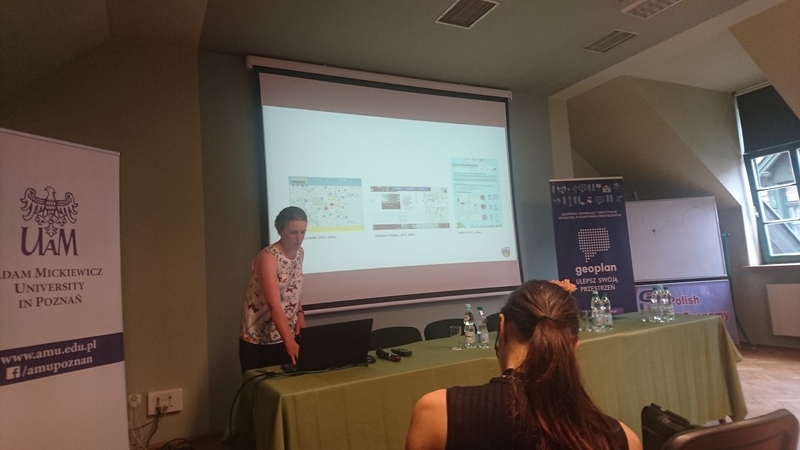 We can think about smart participation using social media – Foursquare, Instagram, OpenStreetMap or Twitter – we need to think about how to make them work. Looking ah how high-quality GIS knowledge from people can support smart, friendly urban planning. 14:30 – 15:00: Examining the values that are embedded in the processes and technologies of participatory GIS. Muki Haklay (University College London, London, Great Britain) My talk started with noting that a persistent question about participatory methodologies that rely on technologies, such as public participation geographic information systems (PPGIS), is how to integrate values, such as inclusiveness of all the people that are impacted by a decision, or identifying options that are popular with the majority but acceptable to the minority, within technologically focused projects. Moreover, technologies do not operate by themselves – they are embedded in organisational, political, and social processes that set how they are used, who can use them, and in what context. Therefore, we should explore where the values reside? Two factors obscure our view: The misleading conceptualisation that technologies are value free, and can be used for good or for bad – which put all the weight on the process and ignores the way in which any technology allows only certain actions to be taken. Another popular view of technology conceptualisation is to emphasise their advantages (upside) and ignore their limitations. If we move beyond these, and other “common sense” views of technologies, we can notice how process and technology intertwine. We can, therefore, look at the way the process/technology reinforce and limit each other, and the way that the values are integrated and influence them. With this analysis, we can also consider how technological development can explicitly include considerations of values, and be philosophically, politically, and social theory informed. We need to consider the roles, skills, and knowledge of the people that are involved in each part of the process – from community facilitation to software development. The talk draws on the experience of developing participatory geographic information technologies over the past 20 years and will suggest future directions for values-based participatory technology development. 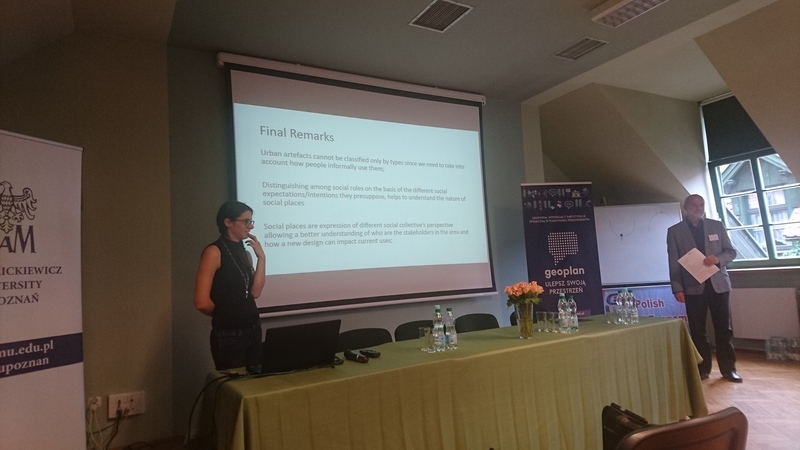 Zorica Nedovic-Budic, Aoife Corcoran (University College Dublin, Dublin, Ireland) – talking about the role of geographical ICT in creative thinking on urban planning, based on the result of TURAS project (turas-cities.org). She specifically looking on several projects: reusing Dublin, Meadows Timeline, and TwitterGI. She specifically looking a the way these ICT tools can be used to improve resilience. Addressing issues such as flooding, lack of green infrastructure in inner cities or use of empty spaces. The task for cities is to move to more resilience stage. The city needs to build capacity to address change. Social-ecological resilience is the ability to adapt and transform as results of a change. Her three cases looked at empty places in Dublin, community history and interventions in the Meadows Communities in Nottingham and supporting researchers on urban resilience at UEL in London. In each case, she carried out a focus group with different stakeholders and carried out different tests. In Dublin, ReusingDublin provided 400 entries about different locations that can be used, and in Nottingham, a geographic timeline about the history of an estate. In London, it was information from Twitter that can assist researchers. Also carried out a serious of events. There is different evident that some of the technologies helped in creating new ideas, but she actually realised that a co-creation process is quite central. The data alone is not enough to generate new ideas but require a more deliberative project. The mutability of technology is important – Reusing Dublin is being used by a homeless charity to raise awareness and collect data that can be used to lead to a change. Citizens + Data = Change – with data, awareness and joint effort. She is now setting the up the space engagers social enterprise to address some spatial issues in different communities in Ireland. 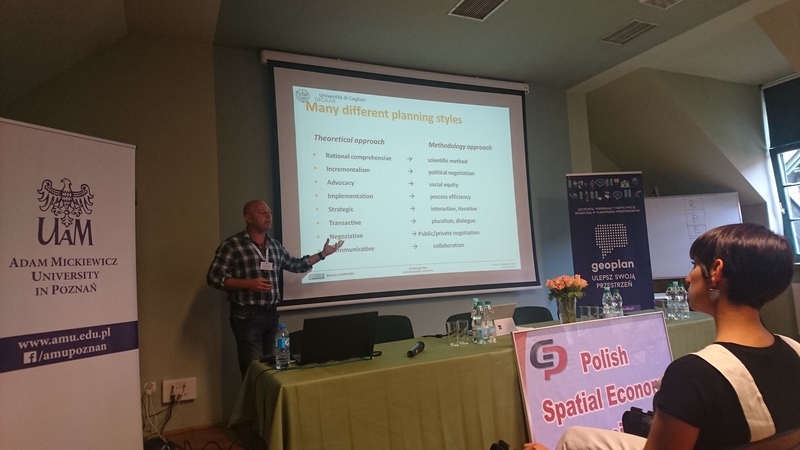 Geospatial technologies – by having people engaged for a short time will allow people to get involved in coming up with ideas or contribute to wider social goods. Michał Dzięcielski (Adam Mickiewicz University, Poznań, Poland), Maciej Kamiński, Maciej Szarejko (Urban Cybernetics Center, Wrocław University of Technology, Worcław, Poland), Sara Zielińska (Adam Mickiewicz University, Poznań, Poland) – thinking about using ERP tool, lean management to manage a city, but also to have a participatory element. To manage a city, you can’t assume formal order to citizens, but we can’t give complete freedom and anarchy in a city – we’re looking for a golden mean. Suggesting to use Enterprise Resources Planning (ERP) that were designed for big companies, so want to have a role for public participation with the outcome of improving the quality of life. The idea of an ERP for a city is the ability to improve city foresight and allow the citizens to show their ideas and how they’ll impact the city. The idea is also to grab ideas from lean management – ensuring that we give citizens the information that will support their needs, and from participatory budgeting, to allow people to create and fund their projects. So their suggested architecture – people who come with ideas, which are going to the participatory projects support office in the city. The PPSO can explore, by using an ERP which projects would result in unwanted outcomes and not improve the quality of life – criteria against which assess projects. Using ERP and lean management by the project support office can help in carrying out such activities in the city. The afternoon ended with TOOL DEMOS the provided an overview and demonstration of different PPGIS tools. 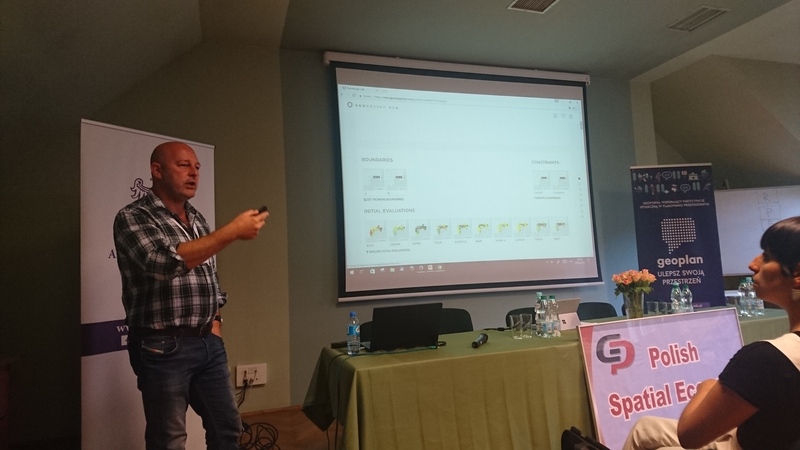 First GeoCitizen Platform by Karl Atzmanstorfer, Thomas Blaschke (University of Salzburg, Salzburg, Austria) the GeoCitizen Platform – based on 15 years of work that was done in Salzburg. The platform, geocitizen.org – transparent platform for participatory community management with a structured process for communication between all stakeholders and assist decision making processes. They have smartphone interface, web platform, and a management dashboard. The methodology: browsing, collecting geographical information, sharing ideas which are geotagged, then discussing spatial content, rating proposals, and monitoring implementation. The stages that are going through a clear design that show which stage is progressing and aiming to include as many stakeholders as relevant to the process. 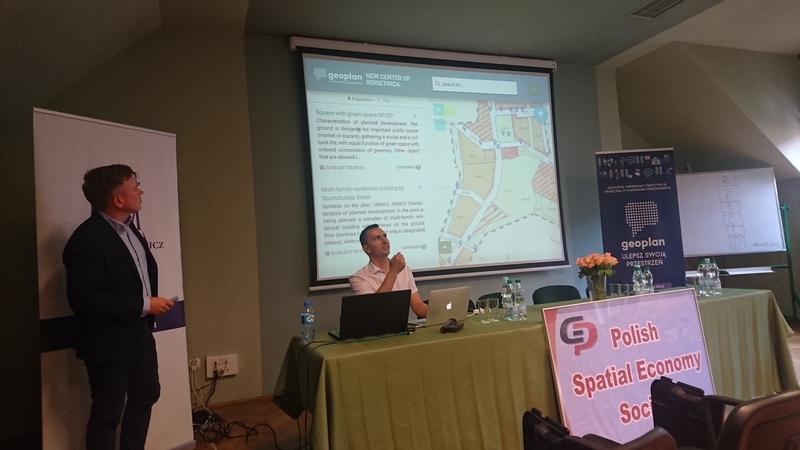 The second demonstration was of Geodiscussion Dariusz Walczak (Recoded, Poznań, Poland), Marek Młodkowski (Adam Mickiewicz University, Poznań, Poland) – the project is about supporting public participation in urban planning through GIS. 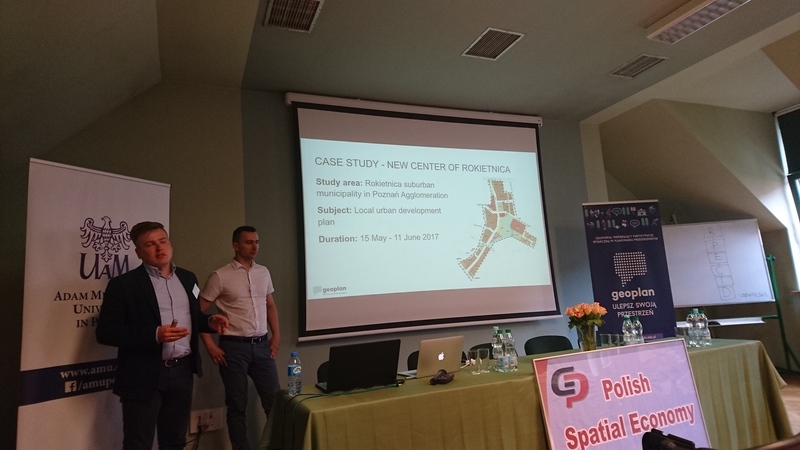 They demonstrate a case study in a suburban location near Poznan and the discussion was about local urban development plan. The Geo-discussion can be viewed on the web and on a mobile phone. They had 65 users, 131 discussion threads and 575 further activities. The Google analytics show that it’s 25-34 people and a bit more male, mostly using the desktop version. Each thread of the discussion has a unique URL and can be used to direct someone to a specific comment. There are details or people, date, and other bits of information. The administrator point of view can see the threads and content of comments and can hide some comments. The process of setting the system include simplification of the technical document to short prompts that can be open for discussion is an important part of the system. The system includes many considerations on how to address the specific aspects of discussions in a way that produces actionable information for planners. Thank you very much Muki for the great report! 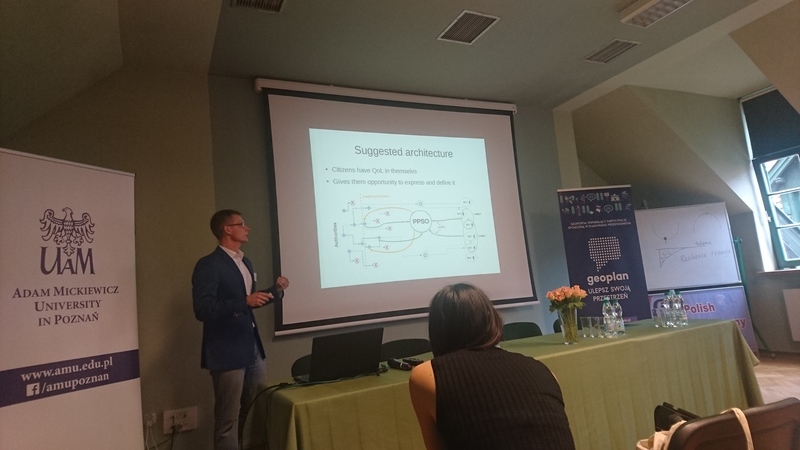 The Geodesign Hub collaborative planning support system, wihch implements the Steinitz framework for Geodesign, was created by Hrishi Ballal and offered to the public by GeodesignHub LTD. At the University of Cagliari, we were among the first enthusiastic users. Since then, we are still collaborating with the creators on Geodesign research.